Winter is the time of year when many people stop running. The temperatures are lower and there are fewer daylight hours, both of which can reduce the motivation to grab your trainers and head out for a run. However, with the right preparation and clothing, winter running can be an enjoyable and comfortable experience. In this guide, we outline our top tips for running in winter and the essential clothing you need to stay warm and comfortable. Your body will take longer to warm up in cold conditions, which can lead to injuries. It’s therefore vital to undertake a good warmup before going out for a winter run. If you have enough space, stretching indoors can be a good way to warm up without needing to stand out in the cold. Sometimes the best way to enjoy a run in winter is to wait for more favourable conditions, which doesn’t mean not running until the summer! Making the most of rare sunny days, or those days when the temperature is slightly higher, will give you a much more enjoyable experience than a wet or frosty day. If possible, try and run at midday as this is the time when temperatures are likely to be higher. Getting the motivation to go for a run in winter can be difficult. 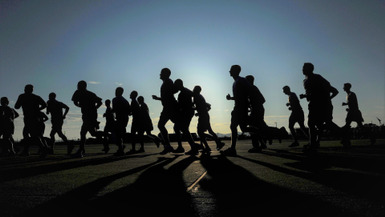 One of the best ways to encourage yourself to get running is to enlist the help of a friend. Making a commitment to meet a friend for a jog can be a much better incentive to put your running shoes on than your own willpower. If you like to run in the morning, lay out your running gear the night before and put your shoes by the front door. This will remove any hurdles to you getting ready and make going outside as easy as possible. If it’s windy outside, run into the breeze at the start of your run to reduce the amount of wind hitting your face once you’ve broken a sweat. Running with the wind behind you towards the end of your run will also give you that little extra push to get to the end. 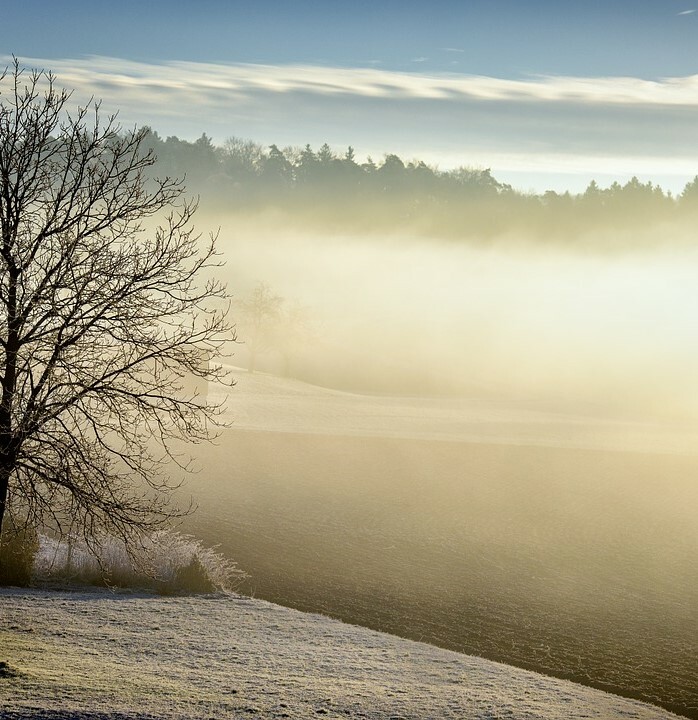 In the winter, there’s a high chance of frost so it’s important to take care on slippery ground and not run at all if the conditions are dangerous. You’re unlikely to set a new personal best on your winter run. To avoid disappointment, try and set realistic targets such as beating a previous winter time or running a set number of times a week. When the weather is cold and the nights are darker, just running at all can be an accomplishment. 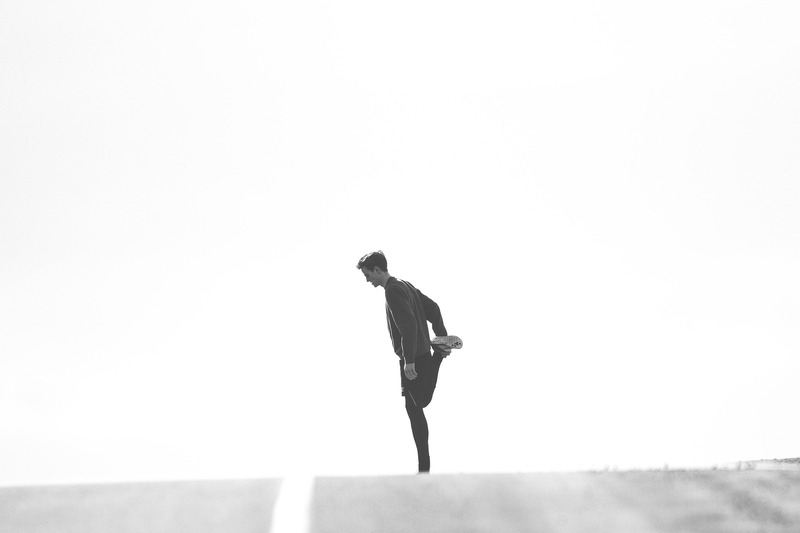 Rather than aiming to run long distances, set yourself shorter distance goals which seem achievable. If you tell yourself you only have to run for ten minutes, it will be easier to start running and once you begin, you will hopefully want to continue and run further. Wearing the right clothing can be one of the biggest factors affecting your enjoyment of winter running. Here we outline our essential pieces of running clothing and equipment, so you can stay warm & safe. 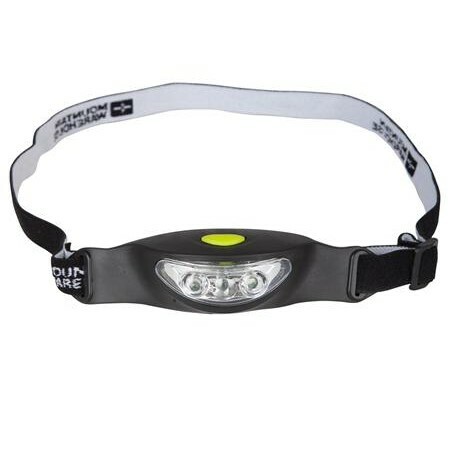 Winter running will often take place in the dark. 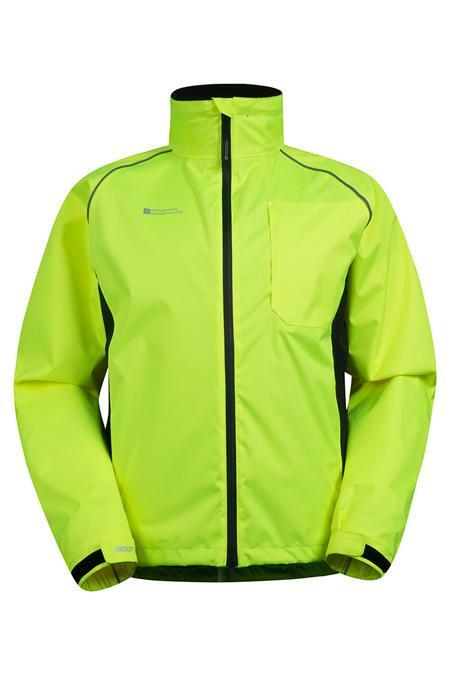 Wearing a Hi Vis jacket will allow you to stay warm and remain visible to cars and other vehicles. 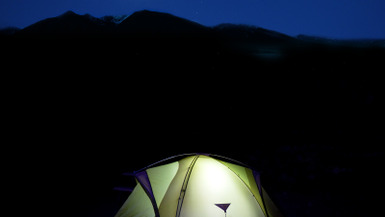 A head torch will allow you to light up the path in front of you whilst making you visible to pedestrians and motorists. 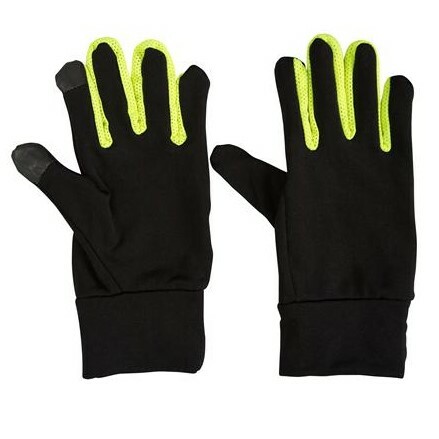 Your hands will get cold when you run so a pair of gloves is essential. 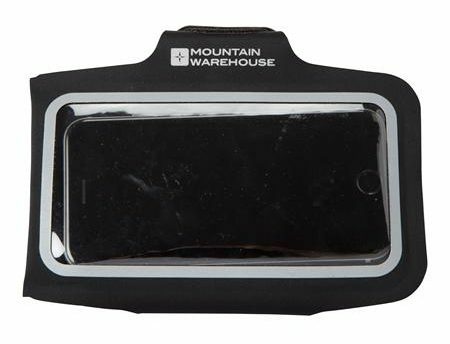 When you’re running, a lighter pair of gloves (such as the Mountain Warehouse Force Running Reflective gloves) will keep your hands warm and allow them to breathe as you warm up. 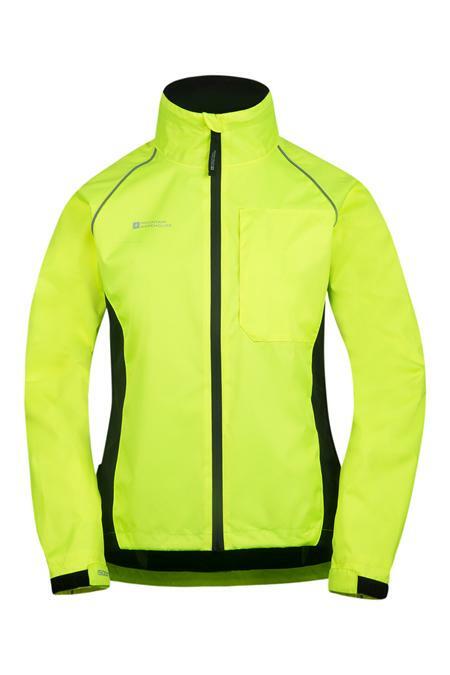 A base layer will be the closest piece of clothing to your skin and is therefore vital for keeping you warm. 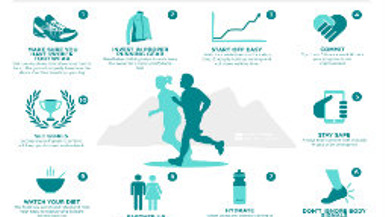 The best base layers for running will be breathable and wick away sweat as you exercise. On a cold winter day, sometimes a great piece of music is all you need to brighten your day and give you motivation to run further. A running armband will allow you to listen to your music and keep your hands free. PREVIOUS ARTICLE WIN a chance to meet Steve B is back!